The Old Dye House in Hallin, Isle of Skye sleeps 2 people. 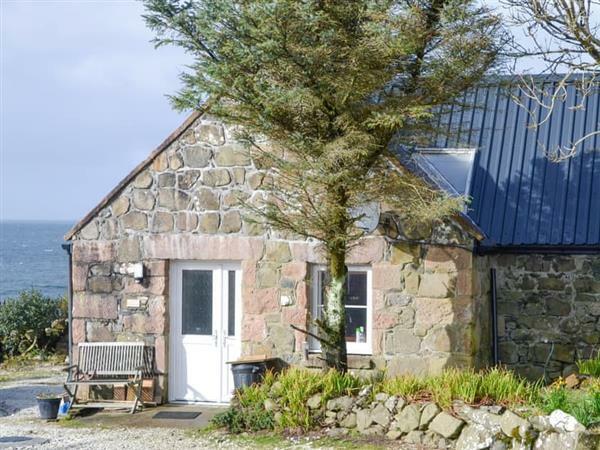 The Old Dye House in Hallin is set in a quiet location overlooking the sea, and on good days you can see the Outer Hebrides far in the distance. This detached cottage for two, adjacent to the owner’s home, is spacious and warm and has been sympathetically renovated and furnished to a very good standard. Beautifully presented with tasteful use of colours and textures, The Old Dye House makes the perfect base from which to explore the lovely Isle of Skye and the west coast. Waternish itself is home to several art galleries, a family run sheepskin tannery, which gives guided tours, the oldest inn on Skye and a Michelin star restaurant. There are also plenty of walks available nearby for all abilities and the best sunsets on the island. Set towards the northern end of the island, all the attractions Skye has to offer are within easy driving distance. Take a trip to Dunvegan Castle and gardens, and after enjoying that you can take a walk along the shoreline to Coral Beach – just stunning! Visit Portree, the island’s capital, with its wide variety of shops, art galleries, craft shops and some great places to eat and drink. A trip from Portree to the Trotternish Peninsula is well recommended. You will see dramatic scenery, and one of the most famous walks, the Old Man of Storr, which is a large pinnacle of rock and can be seen for many miles. Part of the Trotternish Ridge was created by a massive ancient landslide leaving probably what is one of the most photographed landscapes in the world. To the southern end of the island you will find the Sleat Peninsula, known as the ‘Garden of Skye’, where you can visit Armadale Castle along with some amazing places to eat. There is a large variety of outdoor pursuits available including hill and mountain climbing in the famous Cuillins, sea trips, fishing, kayaking, sailing and mountain biking. Take a stroll along some of the many quiet and unspoilt beaches which surround the rugged coastline. 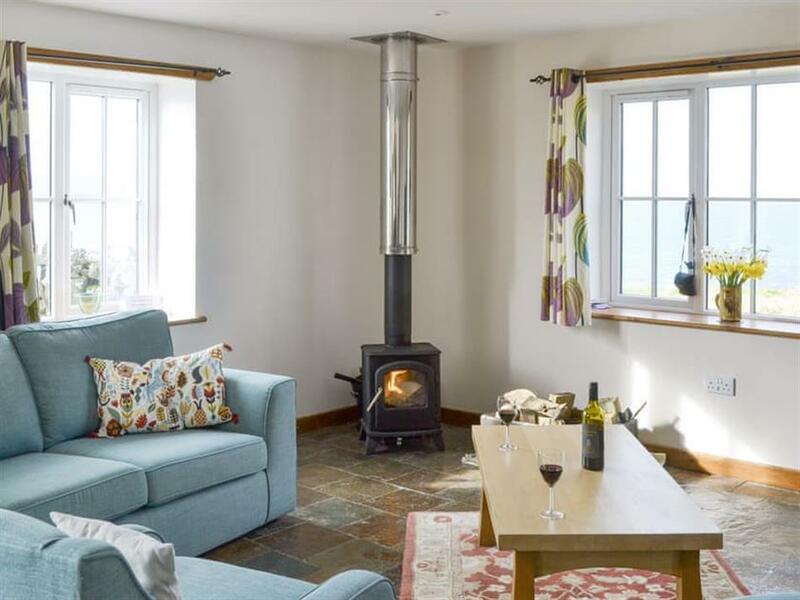 For the less energetic, sit back and relax in front of the wood burner and enjoy the ever changing vistas. The shop is 21 miles from The Old Dye House in Hallin, with the pub and restaurant 1½ miles from The Old Dye House. Living area: With wood burner, 36 Freeview TV, DVD player, CD player and slate floor. Oil central heating, electricity, bed linen, towels and Wi-Fi included. Initial logs for wood burner included. Small garden with sitting-out area and garden furniture. Private parking for 1 car. No smoking. Holidays at The Old Dye House run from Saturday to Saturday. Pets allowed at The Old Dye House. For a better idea of where The Old Dye House is, you can see The Old Dye House on the map below. The Old Dye House is in Isle Of Skye; should you be on the lookout for a special offer, you can find all the special offers in Isle Of Skye. It's always worth checking to see what is on offer at the moment. Do you want to holiday near The Old Dye House (UK11045), you can see other cottages within 25 miles of The Old Dye House; have a look to find your perfect holiday location.